Martin has over 20 years of experience in all fields of intellectual property, including litigation, patent and trademark prosecution and counseling. 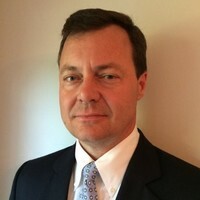 He has prepared and prosecuted hundreds of patent applications in the United States, and has coordinated and supervised prosecution of various patent portfolios around the world. He has extensive experience in Hatch-Waxman matters including counseling generic pharmaceutical clients on various patent issues and filing strategies.